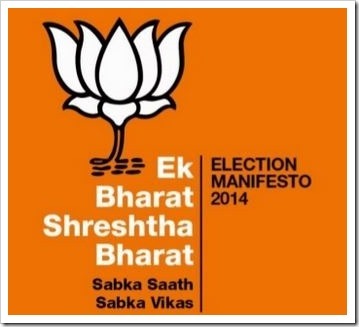 BJP finally released its election manifesto today, with the vision of ‘Ek Bharat, Shreshta Bharat – Sabka Saath Sabka Vikas’ (One India, Best India – Unity and Development for everyone). Some analysts are claiming that BJP may have been a little late in releasing the manifesto as Indian General Elections have started from today. And as per Election Commission’s rules, they cannot broadcast or discuss their manifesto now on TV. It seems that Narendra Modi had few differences on some key pointers mentioned in the manifesto, which actually delayed it. Considering that Narendra Modi is the face of BJP in this election, the delay is acceptable. This time, the vision and mission of BJP is only progress and development, a stand which is the need of the hour. Unlike previous manifestos where their focus was on mostly religion, this manifesto looks surprisingly fresh and full of hope. What is in store for businessmen and entrepreneurs from BJP’s manifesto? – Employment exchanges would be converted into Career Centres; Youth would be connected with the latest trends and opportunities in employment via counseling! – e-Governance and Social Media would be inter-linked, thereby providing the public with more transparency and accountability. There are several other attractive, economic-friendly and citizen-empowering decisions, based on the usage of technology and innovation being mentioned in the manifesto. Narendra Modi has done his homework for this manifesto, and it looks very promising and growth oriented. Do share your views and opinions on this manifesto released by BJP. Will it influence your vote?